Searching for exciting quality wines that are also affordable? We're your source to not only the most sought-after, rare wines on the planet, we're also equally passionate about discovering inexpensive gems that still taste like the world's greatest wines. 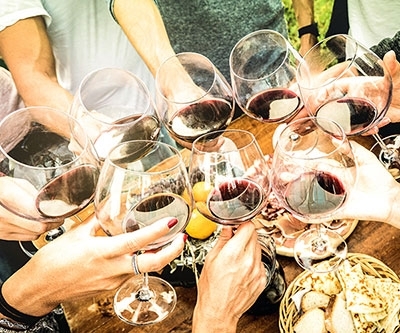 Below, we’re sharing seven wines that you need to have on your wine list for spring and summer, and the best part is that they’re all under $25! 2018 D'Esclans Whispering Angel Rose - Kick off spring and summer with this seasonal favorite, Whispering Angel Rosé! The new 2018 vintage just checked into stock and will sell out quickly. It has a beautiful, pale pink color with a crisp and pure finish that exemplifies Provencal Rosé. It’s created by Sacha Lichine, son of the famous Alexis Lichine, who spent time working at his family’s chateau in Bordeaux. Whispering Angel Rosé is a world-class Rosé that our customers love and keep coming back for year after year. And, it’s priced at only $19.99, yet it tastes like it costs twice the price! It’s great to have on hand for the BBQ, beach, picnics, or sipping poolside. 2016 La Massa Toscana - Tuscany has time and again proven to be one of the greatest wine regions in the world. What we love about this region is that outstanding wines are being produced at every price level. This Tuscan red is a great representation of the value that exists there. 93 points at only $21.95 is a deal you should not pass up! 2015 Pepiere Muscadet Sevre et Maine Clisson - This beauty comes from a great producer from the Loire region of France. It’s powerful, but charming. With touches of pear, dried flowers, and minerals, it has the perfect combination to taste just like an ocean breeze. Perfect for beach days, or just pretending that you are at the beach. Make it a theme by pairing with scallops, smoked salmon and other fish cooked in a sauce and have yourself a sea themed getaway. 2015 Teyssier - You can still afford to drink great Bordeaux! Our expert team searches high and low to find delicious values from every region that are priced for everyday enjoyment. 2015 is the first great vintage of this decade for Bordeaux and is the first must-own vintage since 2010. For the first time in years, Bordeaux has priced its wines to sell quickly. This 91 pointer priced at only $22.95 is a terrific deal. 2015 Wilde Farm Pinot Noir Donnelly Creek Vineyard Anderson Valley- You don't have to look to Burgundy to find great Pinot Noirs. Producers in California are creating amazing Pinot Noirs! Wilde Farms never disappoints with their amazing wines. This wine combines dried rose petals, orange rind and lavender to give a bouquet of freshness. The sweet after taste of peach and pear will surely have you coming back for more. Don’t fear underpaying for a great bottle of Cali Pinot Noir!